What will $1,200 rent you in Evanston, right now? 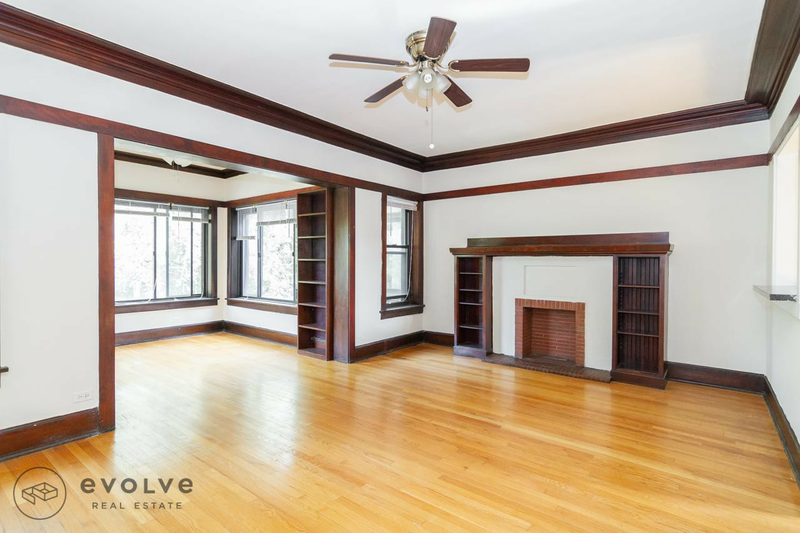 We've rounded up the latest rental listings via rental site Zumper to get a sense of what to expect when it comes to scoring a place in Evanston if you're on a budget of $1,200/month. Listed at $1,200/month, this one-bedroom, one-bathroom apartment is located at 126 Callan Ave., #2A. When it comes to building amenities, expect garage parking, outdoor space, storage space and secured entry. In the apartment, expect both air conditioning and central heating, a ceiling fan, a dishwasher, hardwood flooring, high ceilings and in-unit laundry. Pet owners, take heed: cats and dogs are welcome. Walk Score indicates that the area around this address is very walkable and boasts excellent transit options. Next, there's this one-bedroom, one-bathroom apartment located at 917 Hinman Ave., #b1. It's listed for $1,195/month. The unit features air conditioning, hardwood flooring, a ceiling fan, a dishwasher, central heating, wooden cabinetry and bay windows. Outdoor space is offered as a building amenity. Pet lovers are in luck: cats and dogs are permitted with additional fees. According to Walk Score, the surrounding area is very walkable and has a few nearby public transportation options. Here's a one-bedroom, one-bathroom apartment at 1309 Oak Ave., #S1, that's also going for $1,195/month. Apartment amenities include hardwood floors, a deck, a fireplace, wooden cabinetry and a walk-in closet. The building offers on-site laundry. If you've got a pet, you'll be happy to learn that cats and dogs are permitted. Per Walk Score ratings, this location is quite walkable and has good transit options. Located at Maple Avenue and Crain Street, here's a one-bedroom, one-bathroom apartment that's listed for $1,175/month. In the unit, you can anticipate hardwood floors, a dishwasher, a fireplace, a ceiling fan and wooden cabinetry. The building has on-site laundry. Pet lovers are in luck: cats and dogs are welcome, pending additional fees. Walk Score indicates that the area around this address is friendly for those on foot and offers many nearby public transportation options. Finally, check out this one-bedroom, one-bathroom apartment that's located at 1121 Church St., #204. It's listed for $1,115/month. The apartment features both air conditioning and central heating, carpeted flooring, a ceiling fan, a dishwasher, high ceilings and wooden cabinetry. The building has an elevator, assigned parking and on-site laundry. Pets are not permitted. Per Walk Score ratings, the area around this address has excellent walkability and offers many nearby public transportation options.